Polytuf Tarps are ideal for many applications including ground sheets, shelters, covers, awnings as well as roof repairs. The addition of XPO tarps extends applications to meet the needs and demands of trade and industry in place of PVC tarps, where extreme strength and durability are expected. XPO tarps are made by a patented manufacturing process and are a substantial improvement over conventional polyethytlene tarps offering significant advantages. We are pleased to announce that Premier Fosters has entered into an Exclusive Distribution Agreement With Mayo Hardware for the supply of Gasfuse gas safety products in the Australian and New Zealand markets. 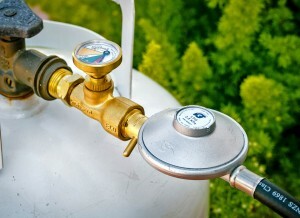 Gasfuse pioneered the Gas shut off category with the invention of the original Gasfuse in 1987. Over 1.5 million devices have been sold and Gasfuse remains the world leader in Gas safety technology. Mayo Hardware is one of Australia & New Zealand’s leading suppliers of safety, security and lifestyle products to the hardware, home improvement, leisure, automotive and industrial channels. With a national distribution network and an experienced field sales team Mayo Hardware is well positioned to support the continued growth of the Gasfuse portfolio. Gasfuse is a revolutionary and essential lifesaving device that will completely and automatically shut off the supply of bottled gas in the event of a major leak or regulator failure. Gasfuse safety devices are available for LPG gas bottles and are ideal for household barbecues, patio heaters, caravans, boating and camping applications and are available in both POL and 3/8th fittings. If you’re an existing Gasfuse stockist Mayo Hardware will be in contact with you over the coming weeks. If you would like to stock the Gasfuse range please contact your Mayo representative or our National Customer Service Team on 1300 360 211. 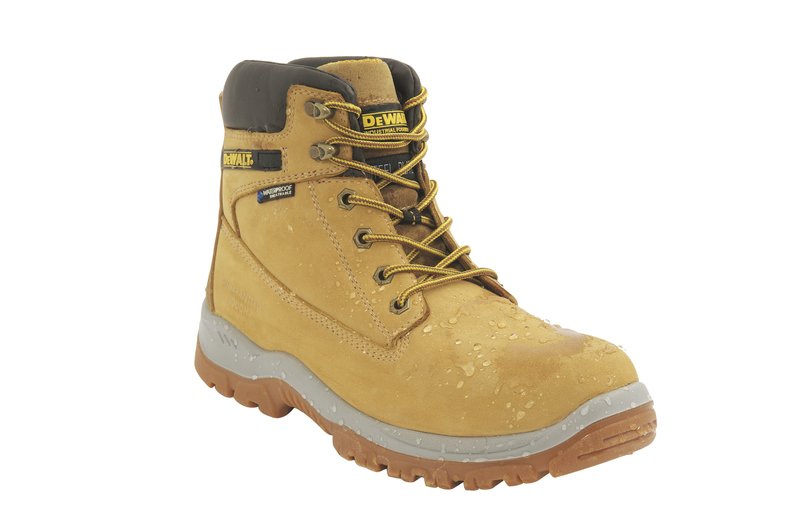 Mayo Hardware has secured the exclusive distribution of DEWALT Protective Footwear into Australia and New Zealand. DEWALT boots are made using the same DNA that make their power-tools world class. As you would expect, the boots are durable, tough, innovative and constructed with the end user’s comfort in mind. Mayo Hardware is one of Australia & New Zealand’s leading suppliers of safety, security and lifestyle products to the hardware, home improvement, leisure, automotive and industrial channels. With a national distribution network and an experienced field sales team Mayo Hardware is well positioned to introduce and grow the DEWALT brand in Australia and New Zealand. Mayo Hardware, the leading supplier of outdoor lifestyle and security products, is excited to launch Australia’s first, high security mail box for residential properties. The Pakman Parcel Delivery Box™ will hit the shelves nationwide in Bunnings Warehouse stores from December 2013. Designed and patented in Australia, this revolutionary box will be suitable for a wide variety of home deliveries including bulky items such as cases of wine. The Pakman Parcel Delivery Box™ has been designed and scaled around Australia Post’s standard parcel boxes, ensuring common packages can be successfully delivered. National Marketing Manager at Mayo Hardware, John Thomas, says The Pakman Parcel Delivery Box™ will change the way packages are delivered. “The Pakman Parcel Delivery Box™ will offer the ultimate convenience in home delivery and will eliminate customer frustration and disappointment associated with failed mail deliveries. This guarantees online purchases are delivered directly to recipients, hassle free. The rise in online shopping, coupled with our busy lifestyles, has made receiving parcels an increasingly painstaking process. “More and more people find themselves setting aside time to collect their parcels or sending their online purchases to their workplace. The Pakman Parcel Delivery Box™ is designed to save online shoppers’ time and money by ensuring all packages are delivered safely and securely to residential properties,” says Thomas. Simple yet modern in design, the Pakman Parcel Delivery Box™ is available in three different colours: white, charcoal and sand. 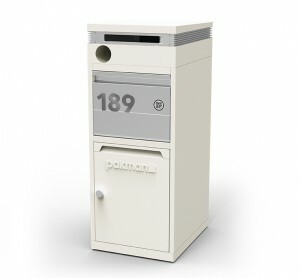 Optional mailboxes are available which can be attached to the parcel delivery box to accommodate both parcels and regular mail. 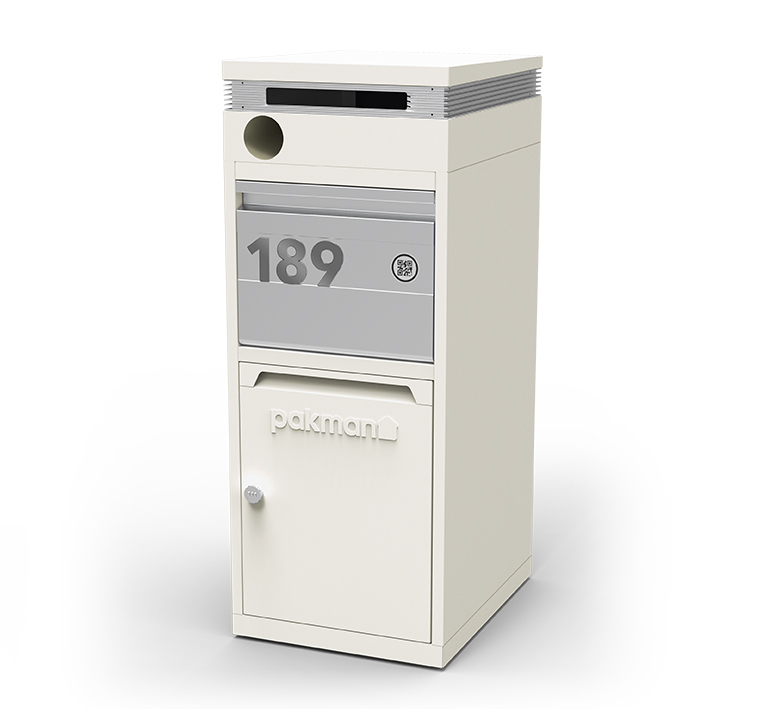 Each of the three mailbox designs reflect subtle features that have been architecturally designed, ensuring there is a Pakman Parcel Delivery Box™ suitable for every home. The colours selected also match common COLORBOND® colours used in homes. Designed to be placed at the front door or fence line of your home, the Pakman Parcel Delivery Box™ uses My-Locate™ technology which sends an email or SMS text message to the owner when a delivery is made by participating couriers. The Pakman Parcel Delivery Box™ is labelled with a unique 2D scannable barcode code fixed to the parcel chute. This code will be registered to each resident and their unique address. Courier companies can register their drivers Personal Digital Assistant devices (PDA), allowing them to scan the code on delivery to confirm the address and gain access to their locked parcel door. Exclusive to the Pakman Parcel Delivery Box™, this system will provide courier companies with a proof of delivery and avoid the need for multiple delivery attempts, which will ultimately save businesses a substantial amount of time and money. “For added security, the owner of the Pakman Parcel Delivery Box™ can also periodically update their combination lock code online. We believe that the Pakman Parcel Delivery Box™ will not only offer the ultimate convenience to customers but will also cut down on mail theft,” says Thomas. With Fastway Couriers already on board, Thomas explains the Pakman Parcel Delivery Box™ system will be available to all national parcel delivery operators. First established in 1928, Mayo Hardware is proudly recognised as a supplier of value to the retail, trade, government and commercial markets in Australia, New Zealand and selected export markets. We hold a market leading position in outdoor lifestyle, safety, security and hardware categories. We work with our customers and end-users to create value that can be captured and shared. 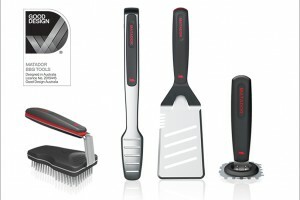 This is achieved through our superior product offering and customer support. We work closely with our partners to fully understand their requirements to create the best programmes to meet their needs. Our office adopts an Activity Based Working environment (ABW). Instead of each employee having an allocated desk, employees sit in an environment that best suits the activity or project they are working on at the time. Mayo Hardware Head Office and Warehouse relocated from its Rosebery site to a purpose-built facility in Moorebank, in south-western Sydney. Not only is the new building 5 Star Energy rated, it provides the business with approximately 2.5 times its previous storage capacity. Coupled with multiple dedicated container unloading docks and new state-of-the-art picking and warehouse management systems, the new facility delivers improved turn around times for customer orders. Our state of the art warehouse and distribution centre is key to delivering orders in full and on time.